Two days back Oneplus released the OxygenOS 4.5.7 update for the Oneplus 5 phone with a couple of new features. A few hours later OnePlus team Withdraws the Oxygen OS 4.5.7 update and roll out the new OxygenOS 4.5.8 For OnePlus 5. The reason behind Withdraws Oxygen OS 4.5.7 is that many users are facing some bugs on the phone, it’s the gaming shutter issue according to the official announcement. So to fix this issues OnePlus team official rolled out the new OxygenOS 4.5.8 update. In a Reddit thread, a OnePlus community officially confirmed that they withdrew the rollout of OxygenOS 4.5.7 update as many users were reporting about the shutter issue that is highlighted by many OnePlus 5 users. The new update comes with lots of bug fixed and new features. 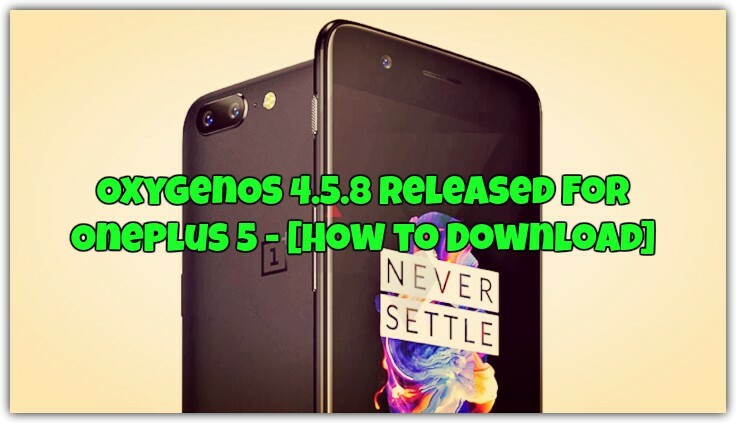 Below you can find the download link of the OxygenOS 4.5.8 for Oneplus 5, which you easily install on your phone by following our guide. If you are the rooted user with TWRP custom Recovery, then the above mention steps will not work you. Check out this guide to install the official Update on Rooted Oneplus 5.